COURTNEY FORCE WON HISTORIC 100TH FEMALE PRO NHRA VICTORY! Courtney Force, a member of her father’s John Force Racing dynasty, not only won the Funny Car champion trophy at Topeka, Kansas on Sunday May 25, 2014; she also was able to claim the 100th professional victory by a woman in NHRA (National Hot Rod Association). 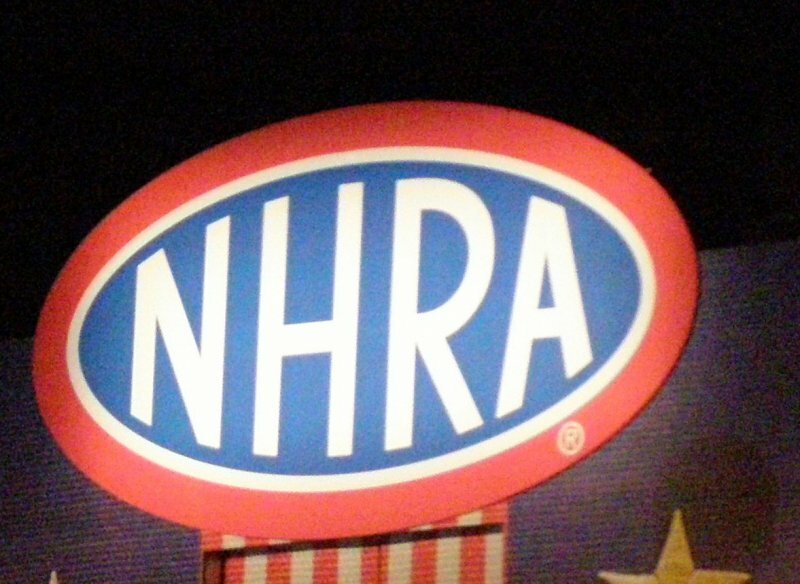 Officials at NHRA were really promoting this special event over the last few racing events and it was just a matter of time before some lady claimed it. There usually are two female funny car racers at the drag strip; Courtney Force joined by Alexis DeJoria, along with Erica Enders-Stevens in Pro Stock and Brittany Force in Top Fuel. Of course no other motor sport comes close in diversity in regards to women being accepted as drivers and winning. It was Courtney Force’s second attempt to earn this trophy. Last week Courtney Force lost to her brother-in-law and teammate Robert Hight. This week she defeated in the final round Cruz Pedregon, who ironically used to drive for John Force, and whom she has never beaten in a final round before. Courtney Force is in her third year as a professional Funny Car driver. This week she was the fastest qualifier in the funny cars. Not only does she follow in her father’s footsteps, but her older sister Ashley Force Hood also raced funny cars in the NHRA. And younger sister, Brittany Force, is now pursuing a career driving a Top Fuel dragster. John Force Racing is snapping up wins and points this year, despite knowing that in 2015 John Force loses his Ford sponsorship funding and Castrol Oil is backing out then as well. But John Force is determined to keep his team going forward and winning races in future seasons. Fourteen women won victories in the NHRA pro ranks, most notable being Shirley “ChaCha” Muldowney who earned the first win in 1976. Ashley Force, Courtney Force’s sister, also contributed to the win category. Not to be overlooked was Brittany Force, Courtney Force’s younger sister, who took the fastest qualifier spot in Top Fuel. So racing history was also made with two sisters taking the top qualification spots in two professional drag racing categories. Way to go Courtney Force!